We are the Chansons! 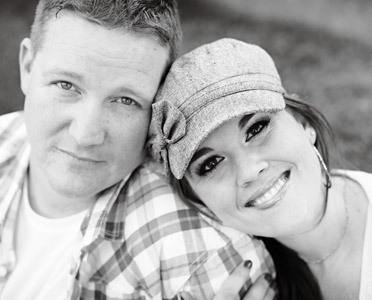 We are Scott and Breanna Chanson and we live and breathe to tell stories…. We were married in 2005, and as we stood saying our vows at the altar, neither of us could've predicted the incredible story our life together would develop into. Since we began shooting weddings in 2006, we've had a whirlwind of unforgettable experiences. We've shot all over the U.S. as well as internationally. We've gained an invaluable following of loyal fans who have encouraged us to continue on… even through the rough times. We've developed ourselves into teachers and mentors for other photographers and small businesses. We've expanded Radiant by adding a new photography team and creating a home base in both Los Angeles, CA and Phoenix, AZ. Through all this, we've discovered that the two most important things to us are people and their stories. Radiant Photography exists to help us meet amazing people and allows us to tell their stories. We hope you enjoy this shared experience into one another's worlds. When our good friends, Caitlin and Willis, announced they were having a baby, Scottie and I (Breanna) were THRILLED for them!!! And now that we’ve met the new little Annabelle, we can see we had every reason to be! Just look at that irresistibly adorable face! Before Annabelle’s arrival, Caitlin and Willis had done as much parenthood preparation as is possible. They designed a gorgeous, powder-pink baby room to lay her little baby head in at night… … purchased all the necessary University of Virginia sports wear… … set up the perfect sign to welcome baby, that also happens to look fantastic in photos… … bought the necessary books for both her and themselves… … and of course got all ready to love her, cuddle her, and take the best care of her as they can! We’ve never seen our friends more happy than when we saw them for the first time with her on our photo day. 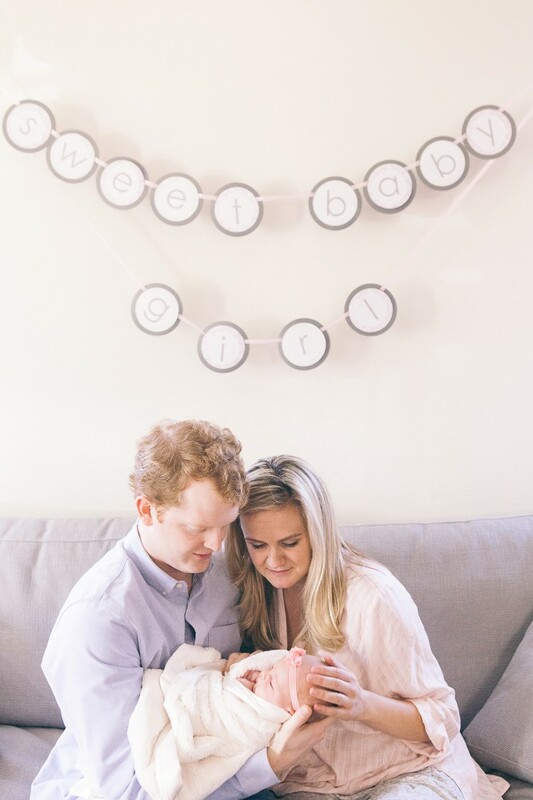 The prepping was all worth it as I think these two… now three… are as ready as they can be for all the bumps, turns, joys, late nights, poopy diapers, and baby belly laughs that parenthood brings along with it! Caitlin, Willis, and Annabelle, we couldn’t be happier to have the three of you in our lives! And we’re looking forward to the days to come as we’ll have the privilege of watching you all grow together, learn from one another, and find out you love each other even more than you do now or ever thought was possible. Thanks for being in our lives and for brining little Annabelle into them as well! We love you all! Congratulations on starting this new adventure together! 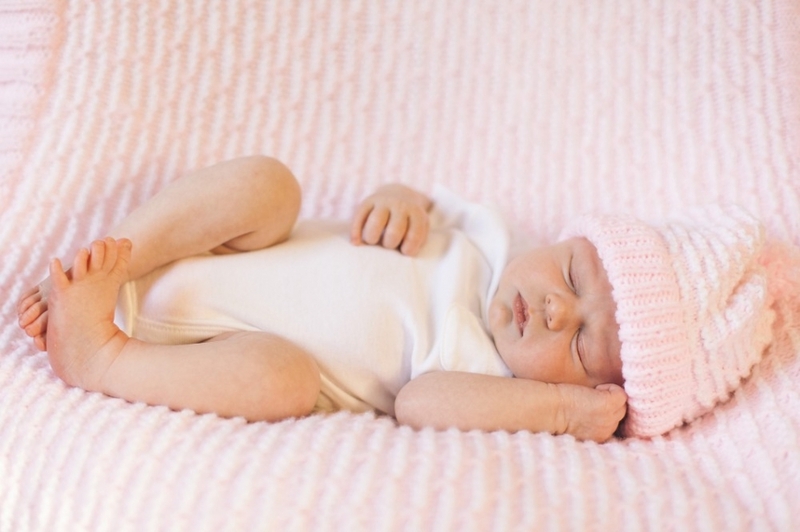 Click to see the rest of Caitlin, Willis, and Annabelle’s new family photo session! Addie and Dan are the kind of people who make everything they touch better. Take cactus for example. Hopefully they didn’t actually TOUCH any cacti, but they definitely did something to them because as a child of the desert with many malicious cactus experiences… they were never my (Breanna’s) favorite things. But once Addie and Dan got involved, suddenly the cacti at the Desert Botanical Gardens turned into some of the most majestic and stunning things I’ve ever seen! And I KNOW the cactus didn’t look like that before they got there, because I had several photography field trips there in High School and none of my pictures then looked like these do now! And then there are these old beards. Had I seen them in the store, I would’ve thought, “yeah those are gross, I’m not touching them”. But when Addie and Dan put them on, suddenly they had a new level of hilarity that I never would’ve thought possible! I was even willing to touch them! Like, a little bit. With the tip of my finger. Of course pretty much everything that one might consider normal and typically (or evil and gross for that matter- in the case of cactus and the beard), Addie and Dan can make outrageous and hysterical. Like posing for photo time. That seems like a pretty run of the mill process that people do at their weddings all the time around the world. But put Addie and Dan into it and suddenly there’s nothing standard about it! Not only is a photo time that’s been touched by Addie and Dan’s magical fingers more fun than anyone has ever thought possible, but it also produces some of the most gorgeous photos than anyone ever thought possible! Then there are the lucky people who come into contact with Addie and Dan over the course of their lives (including us now!). It was more than apparent on the wedding day, that those people’s lives have been taken to a whole new level with these two beautiful people in them. Addie and Dan were the bright spot at this wedding- and not JUST because they happened to be the bride and groom- but also because all of the people there were so excited to see two people as wonderful as these, commit to one another for life. All ranges of emotions were thick on this day! Which brings me to the most important thing that Addie and Dan’s mere presence changes for the better… and that is one another. I may be incapable of phrasing that in a non-cheesy way, but don’t let that hinder my point here, because it’s the big one. (Getting ready to head down the aisle and face the big moment together). Granted, I didn’t know Addie and Dan apart, but it is absolutely clear to me after spending just a few days with them that these two are meant to be. I can’t even imagine how they ever lived before finding one another because it seems that they are necessary to the other’s existence. If you don’t believe in the idea of soulmates, you probably haven’t met Addie and Dan. They are meant for each other like two ratty beards are meant for them. Addie and Dan, thank you SO MUCH for including us in one of the most important days of your lives. You renewed my faith in cacti and simultaneously reminded us of why weddings are so incredible and why we are so lucky to be a part of them. Seriously, I can’t think of anything more special than to witness two people being joined together who are so obviously meant to be. Thank you from the bottom of our hearts for inviting us into your world. Now run off and enjoy that crazy adventure that I know you’re going to have in your lives together. I can’t wait to see what comes from it, because I know that with the two of you using your powers for good as a team together, the result can be nothing short of game changing! Congratulations! Click to see the rest of the photos from Addie and Dan’s Game Changing Wedding. Lee, Becca, and Nathanael are ready for their close up! We first met Lee and Becca many years ago when Nathanael… or the idea of having a baby at all… was not even a twinkle in their little future-parent eyes. Those days are long gone now and I know that Lee and Becca wouldn’t go back to them for anything in the world. Because now they have this wonderfully adorable face to lose themselves in daily! And these tiny little toes to tickle whenever they want! Not to mention, this little smile that they will spin circles, run marathons, or walk the world over just to see as often as they can. And who could resist watching him learn new tricks all the time?! Like this sticking out the tongue thing that he’s so proudly gotten down! It’s obvious that this is one very happy family who loves being together and who will continue to grow and enjoy one another as they get to know each other even better over the years to come. We’re so happy and privileged to know such fantastic people and to be reunited with them over such a beautiful and joyous occasion as a family photo session with their new baby! Lee, Becca, and Nathanael, we wish you all the best and can’t wait to see how the three of you grow, change, and learn together in the years to come! Click to see the rest of Lee, Becca, and Nathanael’s family photo session here. Little Chloe doesn’t know it yet… … but her family is amazing. Sure, she won’t think they’re so amazing when she’s 5 and trying to sneak staying up past her bedtime, or when she’s 10 and doesn’t feel like doing her homework, or when she’s 16 and trying to date (I don’t see her dad being much of a pushover on the boy stuff)… but she’ll be wrong about them. Her parents are the perfect ones for her. And I can already tell that they love her more than she’ll ever be able to understand. Thankfully, she’ll have grandma to let her get away with just a tiny bit more than her parents do and to give her just a wee bit extra leeway on the bedtime and homework… though probably not on the boys issue (sorry, future Chloe!)! She’ll also have a large canine friend to back her up when she needs someone to blame for the mess she made in the kitchen, or to cuddle with when she’s had a bad dream and her parents are asleep. He’s definitely got her back. This little girl is far more blessed than she knows now, or may ever fully comprehend. But that’s of no matter to her family members who love her regardless of how many times she wakes up crying in the night or how many stinky diapers they change. They hardly even notice those things, actually. Because all they see when they look at Chloe is their perfect little girl who they can’t wait to watch grow up, even when she proves she’s not quite 100% perfect ALL the time. But just as they could care less about that stuff now, I’m sure in the future she’ll be just as perfect and incredible in their eyes as she is now. Chloe, you are loved by a wonderful family. We couldn’t be happier for all of you as you grow, change, and get to know one another. Congratulations! Click to see the rest of Chloe and her wonderful new family’s photos. When Chrissie and Matt first mentioned the idea of a camping engagement session, Scottie and I (Breanna) were sold! Because what could be better than two people in love, cuddling under the stars by the glow of the firelight?! I mean, come on, that’s the stuff of dreams for all the young romantics on Pinterest! But as the planning progressed, the life logistics involved in making this camping engagement session happen, just started seeming too big to conquer. We kept finding ourselves asking important questions like, “how will we make it look cold and cuddly when it’s a record setting November heat wave and we’re sweating? What if the bears are attracted to massive amounts of hairspray? Where will we pee?” These questions and more made us re-think this silly “romance under the stars” notion. But just then, Chrissie and Breanna started Googling… and Instagraming… and Pinteresting. And the overwhelming adorability of a camping engagement session just couldn’t be denied! Our questioning soon felt more like practical problem solving. As in, “how much is too much to spend on pretty lights just for camping? Can Chrissie set up a tent in a dress? How many pictures of a raw chicken do we actually need?” These questions and more led us to one conclusion. If Chrissie and Matt couldn’t do a camping photo session, they couldn’t get married. Well that was MY conclusion anyways. I didn’t specifically ask them if they agreed, but I felt in my heart that they did. So off to the campsite we went (Hi-Ho, Hi-Ho), with an adorable picnic set up, a few plaid shirts, and a tiny little dog in tow. Since you’ve seen the photos, I don’t think I have to spell it out for you… next to getting engaged, having a camping engagement session was the best decision Chrissie and Matt ever made (again, in MY opinion). (Like us on Facebook to be the first to see when Chrissie and Matt’s wedding photos go up!). It was all the cute and cuddly, stars, pine trees, twinkle lights, and kisses, that any teenage girl with a “Someday My Prince Will Come” Pinterest board, could ever dream of! And Chrissie and Matt lived up every moment of it. Together. In love. And all that adorable stuff. We love you guys and can’t wait for your big day… that will now arrive thanks to the completion of our awesome and mandatory camping engagement session! Click to see the rest of the photos from Chrissie and Matt’s Engagement Session Under the Stars.